Get to know your Professors and Instructors. Ride University’s instructors all have one thing in common – the relentless pursuit of two-wheeled knowledge in our lives. Now we love to share that knowledge and experience we’ve each gained in our own personal journeys through the sport of motorcycling. Jason’s decades of experience riding motorcycles, along with his achievements in the highest levels of motorcycle roadracing in America, have garnered the knowledge and skills you find throughout all of the University’s online and event based curricula. 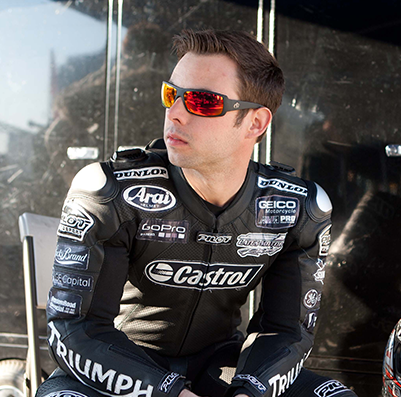 Along with 15 seasons of professional racing and standing atop the AMA podium 73 times, Jason has also been an on track motorcycle instructor for some of the America’s premier riding schools, including his own DiSalvo Speed Academy until 2014. Jason founded Ride University in 2017 as the next evolution in the DiSalvo brand of motorcycle training. 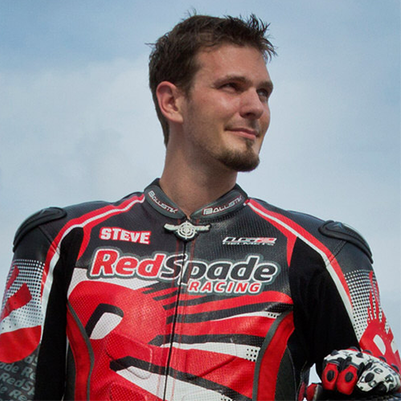 A true teacher at heart, Steve started off his motorcycle journey at a young age, and has continued it through the RedSpade brand as his wife Anna’s original teacher. After logging countless miles on the street, and in his pursuit of ever improving his skills on a motorcycle, Steve took his riding to the track and quickly transitioned into racing. He’s now bringing his extensive street experience, coupled with RideU’s proven skill-building curriculum back to the highways, mountain roads and urban sprawls – making riders safer through increased skills and awareness. Ryan has always had an affinity competition and teaching . After his hockey career ended he finally had the opportunity to race motorcycles, which had always been a dream and he jumped in with full force. 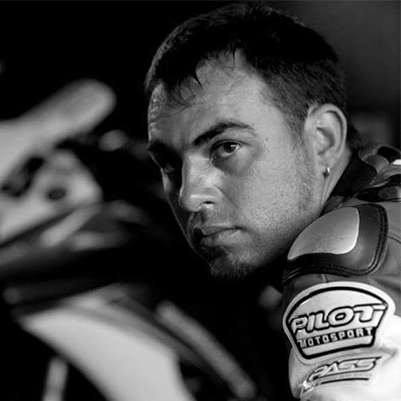 Shortly after, Ryan began working with the Jason DiSalvo Speed Academy where he developed as a rider, taking multiple wins and podiums in racing competition before turning pro the following year. Working with Speed Academy also provided the opportunity for him to share his experiences and passion for teaching riders how to enhance their riding skills. Prior to that, Ryan instructed at the Jamie James Yamaha Champions School. When not racing on two wheels Ryan is also a professional compound archer, and USA Archery instructor. Jason Curtis has always been a fast learner. After becoming the youngest off-shore boat racing North American Champion in the sport’s history, Jason transitioned to motorcycle racing and found instant success. Spring-boarding into AMA Superbike competition as teammate to Doug Chandler aboard the No Limits Motorsports Honda team, Jason would just a year later earn the top AMA Superbike privateer trophy. 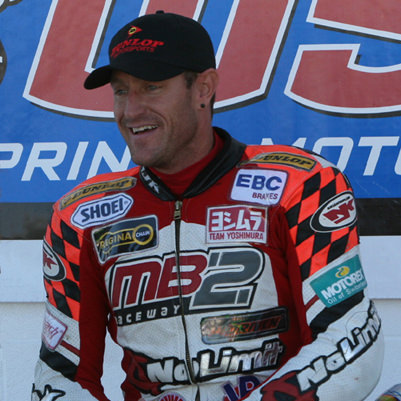 During his tenure in the 2 wheeled motorsports industry, Jason has instructed at the prestigious Freddie Spencer School, where he trained alongside DiSalvo while they both competed at the professional level. Beyond motorcycles, Jason has also competed in NASCAR sanctioned Supertruck series, as well as founded his own cycling team comprised of 10 Pro/Master bicycle riders. After so many experiences learning the value of getting up to speed and adapting quickly – Jason brings to the University a breadth of knowledge that’s hard to match. Regularly imparting her knowledge and experiences through her own journey of motorcycle learning, Anna and her brand RedSpade have become an international phenomenon that has captured the attention of motorcyclists around the World. She’s ready to bring her learning experiences to the classroom and deliver them to the masses with Ride University’s street program. 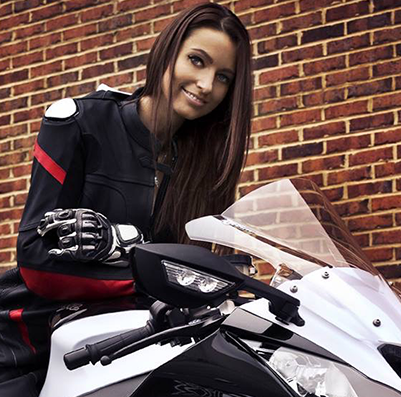 With experience riding on the street, track and dirt, Anna brings a well rounded history of learning and applying techniques to succeed in all forms of motorcycling. The motorcycle community has long been a resource for knowledge and Ride University’s forums continue the time honored tradition of ride-by acknowledgment, the lending your fellow rider a wrench from your toolkit or just sharing a piece of friendly advice. Even if it’s just shooting out a link to the correct lesson that answers a question, or seeking answers to something that isn’t yet in one of our online courses – utilizing and building the knowledge base that is the backbone of Ride University is a path we’re all walking down together! Ride University instructors are regularly on the forums as well, and are happy to answer questions about any of the RideU online course materials or help you find the perfect event for you to attend!